Mike Duseberg creates an unforgettable experience for VIP clients in Atlanta, Georgia. They're still talking about it nine years later! Our minds easily process simple things. Our minds can easily take in a simple idea, categorize it, remember the small number of component parts, and commit them to memory. A great event has a central experience, and the rest of the event should support that memory. Complicated things, however, are difficult to understand, difficult to retell, and end up a blur in our memories. Ultimately, we try to remember everything, but we end up forgetting almost everything. An event can overcome the audience with too many experiences, so that no one experience really stands out in the mind of the audience. Michelangelo once described sculpting David this way: I look at the block of stone, and I remove everything that isn’t David. A great event should have elegant simplicity, which each component supporting the main theme and the experience the planner wants the audience to remember. Our brains are wired to organize information that comes in through our senses. That’s what allows us to make assumptions and hypotheses about what’s going on around us. In fact, science has shown that our brains actually “fill in” or even “erase” visual information based on what “ought” to be in our field of view. This is how optical illusions work, and it’s also why you can apparently look directly at your keys when you’re looking for them but still not actually “see” them. Because our minds make all these assumptions, we’re hypersensitive to things that don’t fit. When something comes as a surprise, it really sticks out on our minds. Game Shows are a great example: if you’re completely convinced that you know the answer to a trivia question and get it wrong, you can almost feel your brain say “I’ll never get that wrong again!” The correct answer becomes seared on your mind. Unexpected components will always stick out in the minds of your guests. If a celebrity appears unannounced to speak at your event, the shock will stand out in your guests’ minds. If they are expecting a formal, black tie experience with white table cloths and white gloved waiters, and you present a rustic experience on picnic tables, it will stand out in your guests mind, too. How you utilize the unexpected is up to you, but it’s a powerful tool make your event unforgettable. It’s easier to remember things that look and feel “real.” Large numbers are a great example: if I told you there were 745.3 million starving people in the world, it’s a impressive number but it doesn’t really stick in your mind. If I told you that someone dies of starvation every 10 seconds - and I count to ten and tell you someone just died - thats a meaningful and memorable statistic. One of the most powerful elements of a live event is that it is a concrete experience. People physically attended the event, shook hands with the other people who were there, touched the tables, ate the food, and heard the music. The Heath Brothers emphasize the appeals to authority as important to memory. We remember things that come from an important source, for instance, data from the Centers for Disease Control or the Smithsonian Institute. Experts are credible, and we trust their information, so we remember it. In the events industry, credibility and celebrity go hand in hand. If you have an important celebrity speaker at the event, your event might be more memorable. If you have an important group of guests attending the event - local celebrities, socialites, donors, or politicians - the event might stand out better in the minds of your guests. There is nothing as memorable as emotions. The more an experience can be infused with emotion, the more memorable the event becomes. Our memories are largely controlled and described by emotions: remember your first job interview, your college graduation, your own wedding, or an awards ceremony where you received an honor. The feelings you felt are probably more memorable than the actual visual and auditory memory of the event. Emotion is a powerful tool. Decorations and music can help guide your guests emotional experiences - images on the wall, table decorations with photographs, music that addresses your event’s tone. Entertainment is all about emotion, and as Tommy Wonder, the late Dutch master magician said, “Emotion is most interesting when it’s changing.” Entertainment, decorations, and speeches that feature some conflict and a sense that the event is taking your guests, your organization, or your clients to a new level will help bind emotion to your event and make it memorable. People love stories primarily because they are full of emotion, drama, and conflict. Speakers tell us of overcoming obstacles, learning new information, applying their knowledge, and attaining success beyond their dreams. Entertainers create challenging situations, face the challenges, experience temporary defeat (perhaps), and triumph. Even a story that ends in failure can be memorable and entertaining if there’s still drama, conflict, and emotion involved. Any one of the six components of memory will make your event more memorable and important to your guests. Combining the six components together creates a powerful package that will impress your event on your guests minds for a lifetime. Mike Duseberg creates events your guests will give rave reviews, remember forever, and look forward to repeating year after year. 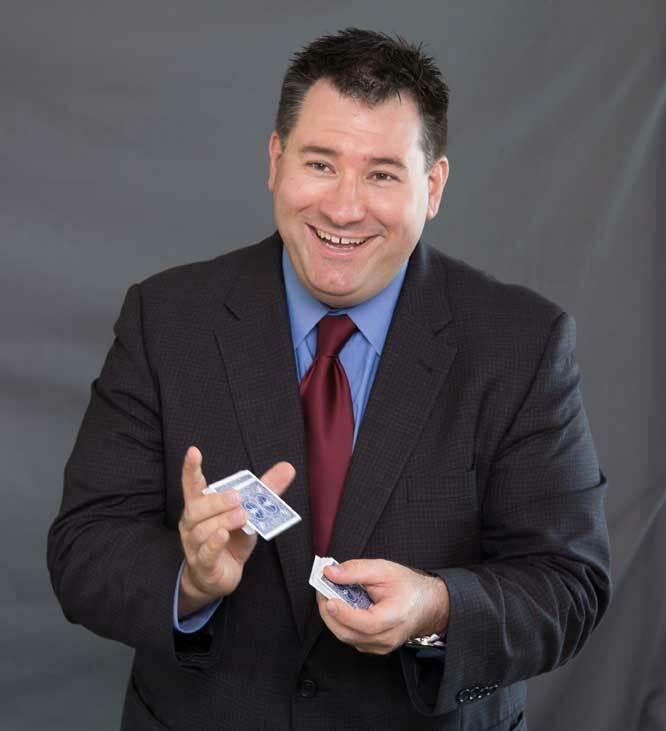 Customizing his performances and integrating their business messages into the show, clients like Emerson, Nidec Motors, and Fluor bring him to entertain at customer hospitality events, meetings, and trade shows.